In terms of quality and look, they surpassed all my expectations. 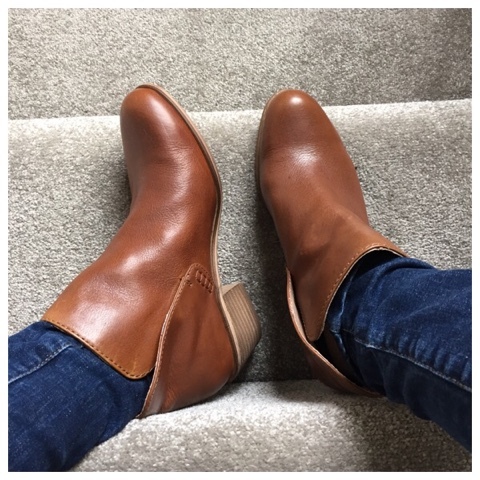 They're made from the most gorgeous leather and the colour is great - perfect for now with jeans and dresses but they will look fab in the summer too with shorts. I will say to size down if you are ordering - I am wearing the 39. 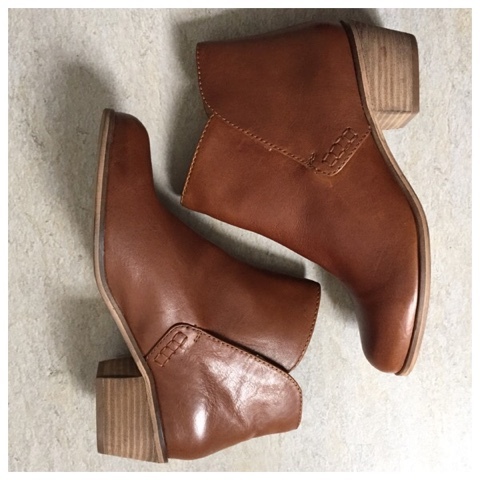 The design means they don't fit tight around the ankle which is perfect for me (wide foot/high arch).as I struggle to get boots on and off, but this might be an issue for a narrower foot. 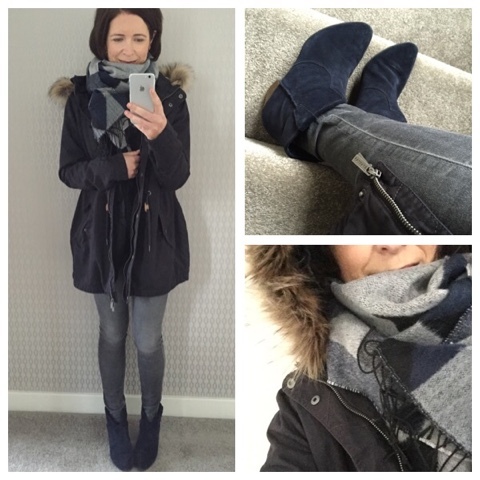 I wore them on Thursday for a trip into Belfast for dinner and loved channelling a bit of an autumnal vibe. 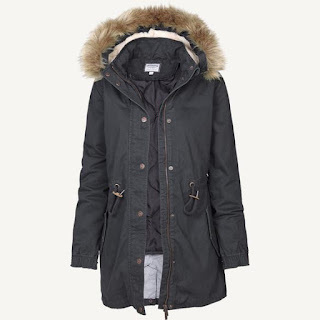 I've wanted a grey parka for ages - I love my khaki one but I knew I'd wear a grey one more. This time, you need to size up. I got the 10 initially but it was too neat for my liking. I've sized up to the 14 and much prefer the oversized look - which is how a parka should be worn. I should say that it's sold out online and initially it looked like I wouldn't be able to change it but the Belfast store were most helpful and had all sizes in stock - so do check your local store if you like the look of this. 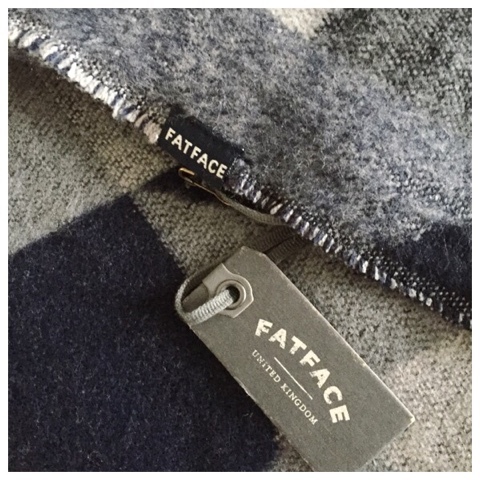 Of course, while I was in the store in Belfast, I picked myself up a scarf to match - really loved the Geo Jacquard Scarf which has navy, black and grey in the colour way. All my favourite colours in one place. Scarf perfection! 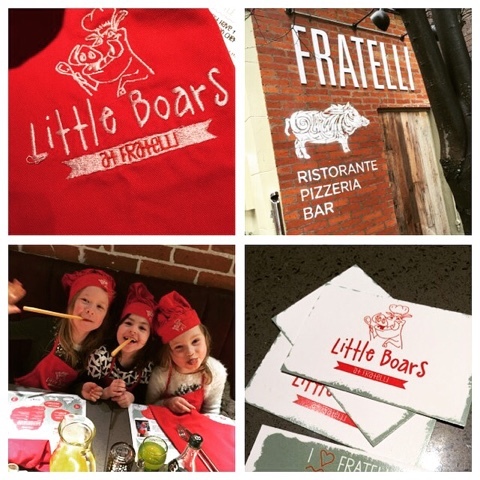 I wore the parka and scarf on Saturday for a trip into another local restaurant, Fratelli's on Great Victoria Street, where the kids had a ball being Little Boars. They got to make their own pizzas at the table (not as messy or stressy as I thought - in fact not stressy AT all!) while I got to enjoy a gorgeous salad in relative peace as they were all having so much fun. For the kids, you get three courses & a bambinochino for £6.95 and it was plenty for even the older ones - anyone else got a 12 year old who has grown out of the kids menu? Well, he was happy with it here - there was more than enough for him. Nicest touch was the locally made Glastry Farm ice cream, served in wee tubs - the kids were in their element! 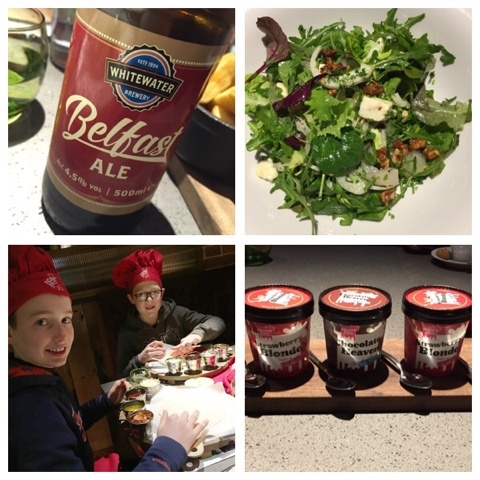 A great option for a weekend treat - we will definitely be back...with and without the kids. Thanks to the guys at Fratelli for looking after us so well. 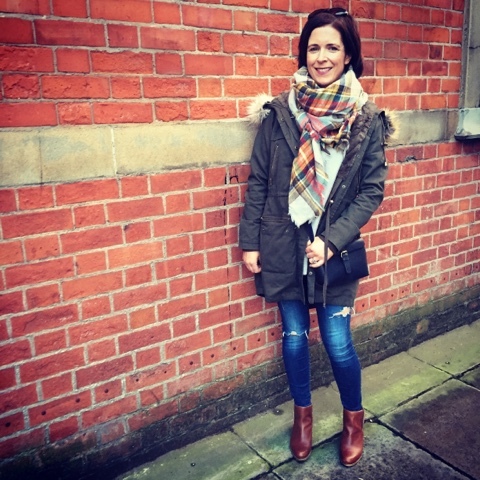 Disclaimer - my coat and boots were gifted to me by the team at FatFace but I was not paid to write the post, nor was I obliged to (I bought the scarf myself). We also dined free of charge at Fratelli's but again, I wasn't paid nor obliged to write about it. Thanks for supporting the brands that support this blog...especially the ones that feed the kids!